New deliveries and launches understandably benefit from significant exposure across the yachting world, yet, refits of historical yachts are sometimes even more significant events for the sector as these five yachts show. The famed financier and avid yachtsman Harold S. Vanderbilt, heir of the vast railway empire, ordered from Herreshoff Manufacturing two schooners, both named Vagrant. The first of them, launched in 1910 and measuring 32 meters, was refitted in 1984 by Peter de Savary and is reportedly still afloat in Japan under the name of Vagrant of Burnham. Meanwhile, the largest of the two, the 39-meter Vagrant is now under reconstruction at Royal Huisman facilities in Vollenhove. «Thanks to her owner's vision and respect for her legacy Vagrant will not become a piece of forgotten history, but instead will remain a living legend – sailing and enjoyed by many for decades to come», claims the Dutch yard, assuring that the yacht's owner directed to refit the boat inside and out with the utmost respect for her historic value. 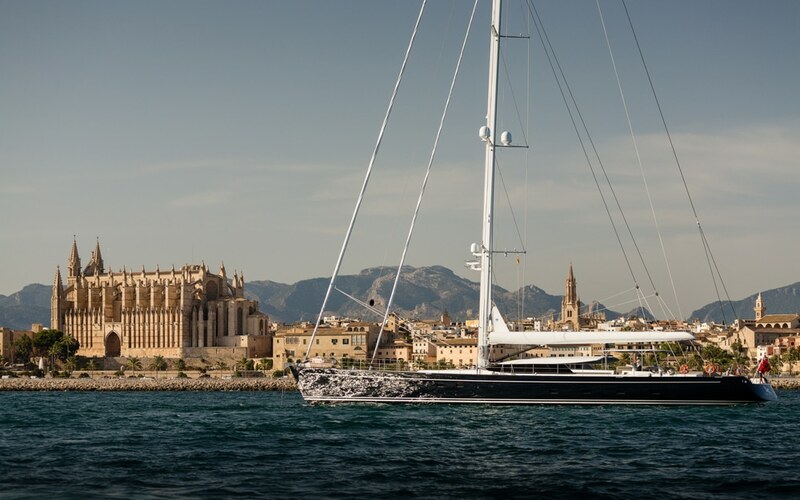 Royal Huisman took the challenge and embarked on the project in 2017. 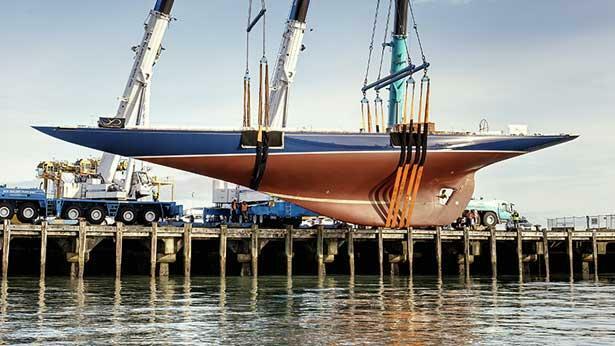 The rebuilt began with the sandblasting and preservation of the yacht's 33-meter over-a-hundred-years-old steel hull. At the same time, the iconic boat has to be re-engineered with modern quality materials and board systems. 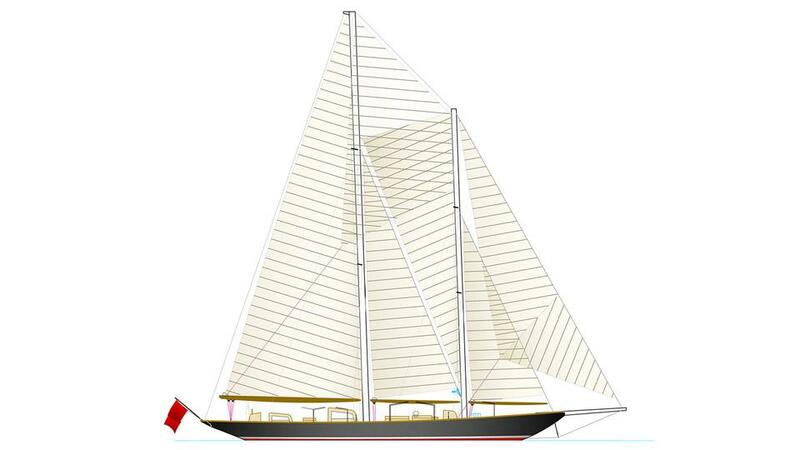 Dykstra Naval Architects is in charge of re-rigging her schooner-rigged sail plan, while Rondal provides bespoke components, including aluminum masts for the inside furling of the fisherman and mainsail. Guest accommodation will be refurbished and new crew quarters will be designed in-house. All the machinery, including generators, air conditioning, and heating, will be wisely concealed behind wooden panels and cabinetry. The rebuilt classic yacht is due for re-launch in 2019. 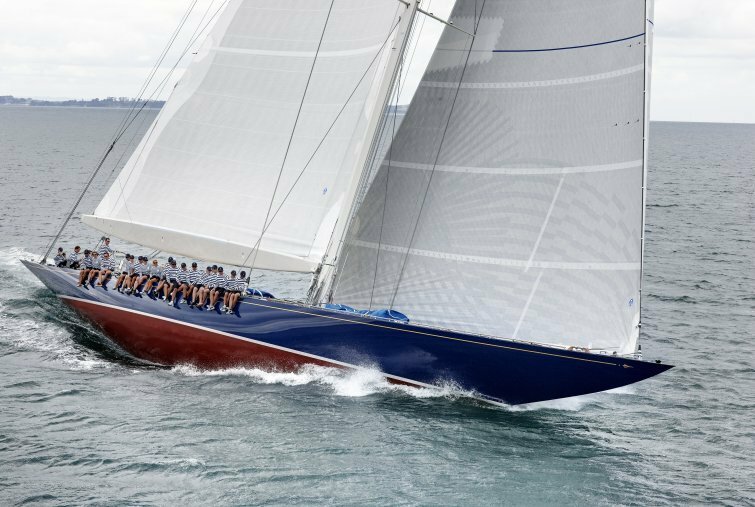 Built for Scottish industrialist, Kenneth MacKenzie-Clark in 1923, the 25.6-meter Kentra has a long racing and round-the-world cruising history, along which she kept changing owners. In the early 50s, the luxury yacht was turned into a venue for glamorous parties, with Christina of Spain, actors Brigitte Bardot and Errol Flynn among the yacht's celebrity guests. 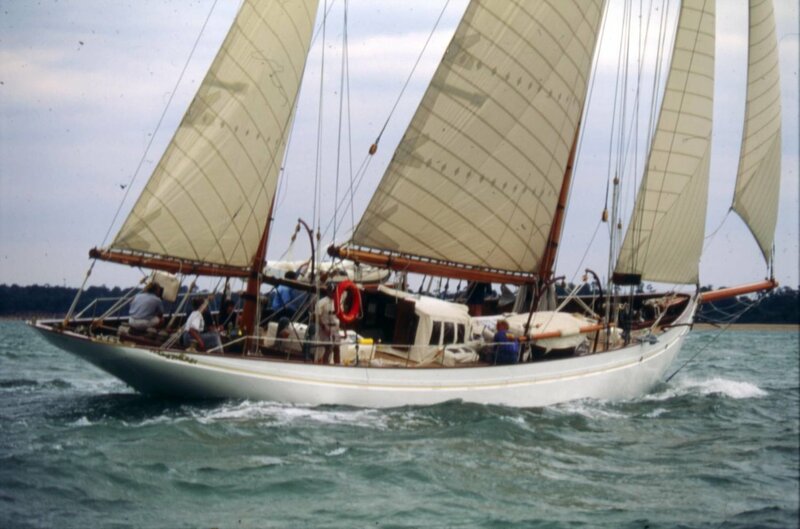 She eventually returned to Britain, where she was lying dormant for many years until bought at auctions in 1992 by her current owner, who commissioned Fairlie Yachts for rebuilding the boat that took 18 months to complete. 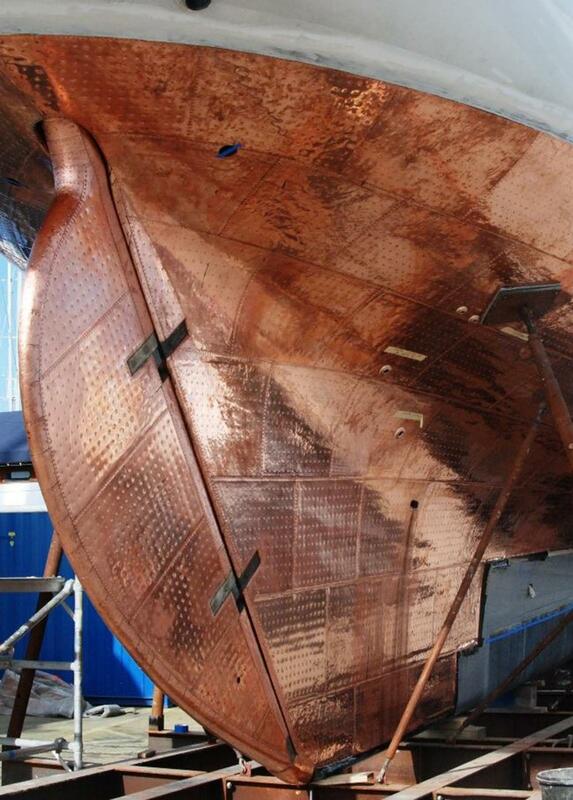 The full structural restoration required the re-coppering of the yacht's hull. Her copper-bottomed hull, introduced in the 18th century by the British Royal Navy to ensure ultimate resistance over the traditional wooden hulls, makes Kentra a rarity nowadays. Furthermore, yacht's keel was removed from the aft end in order to balance the weight of the modern machinery. New rigs were constructed from Fife's original drawings. Fortunately, the old deck structures were in good condition and could be reused. Designers had to create new interiors, utilizing the original doors and frames. After her first refit, Kentra received a new lease of life and even took her owner for an around-the-world voyage between 1999 and 2004. 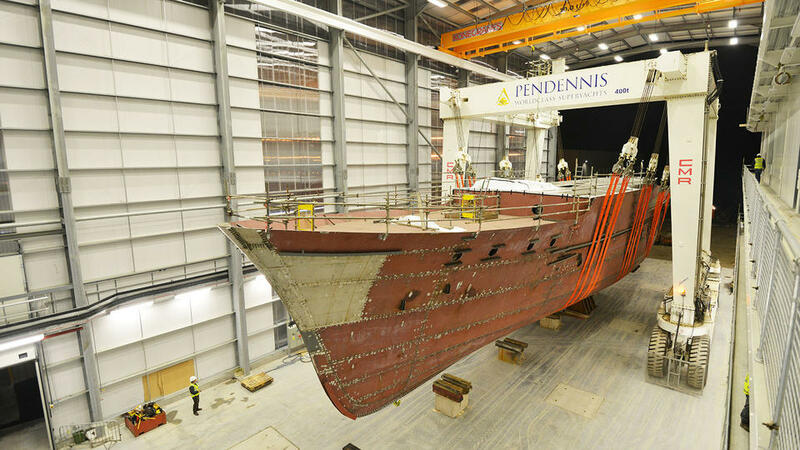 During the second refit, carried out in 2015, the boat's hull had a provisional update with copper cladding meant to protect the hull for another two decades. During winter the historic yacht leads a quiet life very close to her birthplace, although sometimes her adventurous owner braves the contrary weather to cruise western isles. 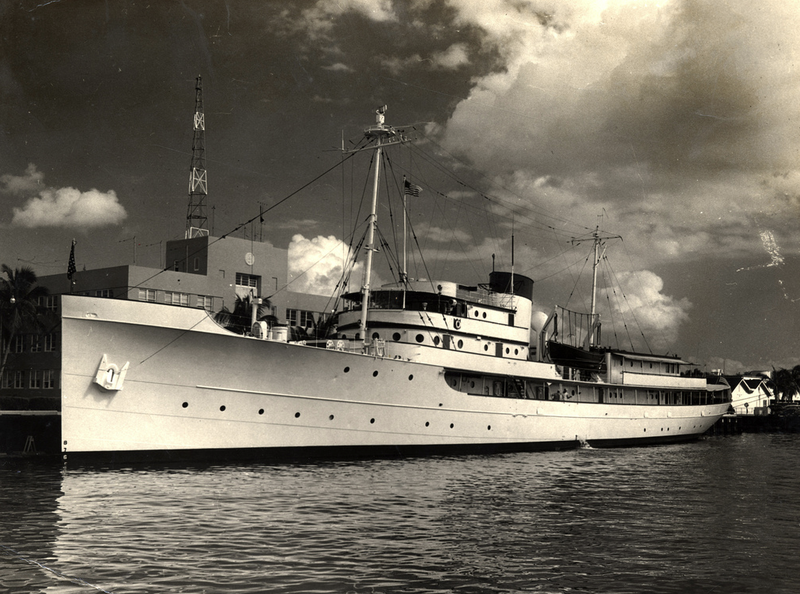 Referred to for good reason as The Floating White House, the 74-meter steel motor boat started out her life in 1931 as Aras, but in 1941 the private yacht was acquired by the US Navy and, refitted into a gunboat, entering service under the name of USS Williamsburg. 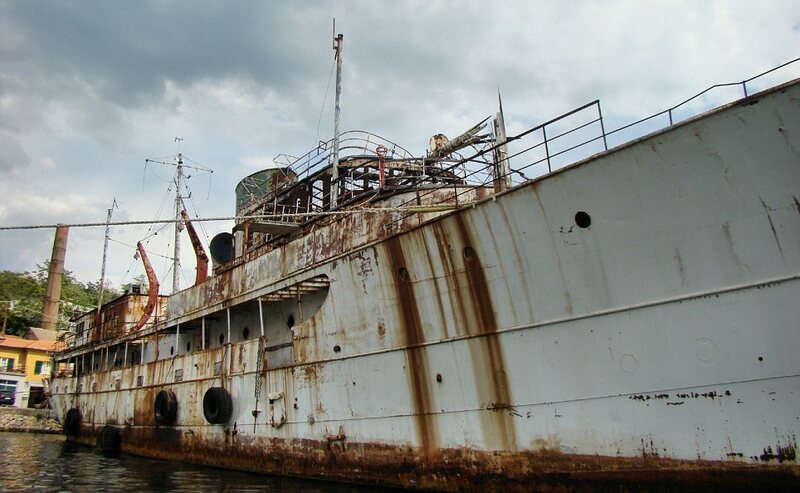 During the Second World War, the vessel was mainly used for escorting military convoys in the North Sea. One of the boat's most memorable adventures was the secret transfer of 28 treasure chests full of gold bars in 1942. 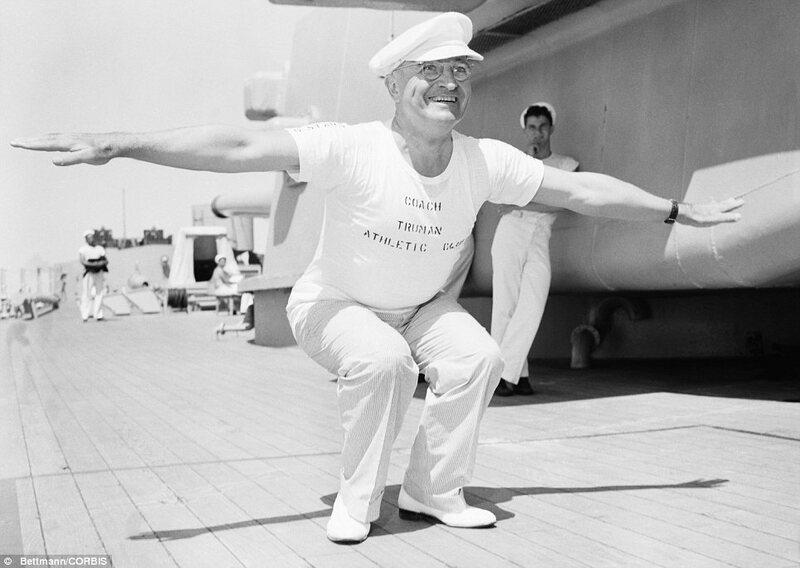 During the post-war years, under the presidency of Harry Truman, the boat hosted world leaders, including Winston Churchill, and other important politicians, such as George Marshall and Clement Attlee, cruising to Florida, Cuba and the Virgin Islands. In 1953, Williamsburg was replaced as a presidential yacht by the new head of state, Eisenhower, and, thus, was consigned to oblivion. There were a number of attempts to restore the yacht. In the mid-90s she was transferred to Genoa to be converted into a luxury cruise ship under a different name, something that never happened. An urgent appeal of the Italian government saved her for this time being. The US Williamsburg Preservation Society was formed with the goal of reincorporating the former presidential yacht into the American Navy. However, the raise fund campaign failed to collect the necessary $40 million. 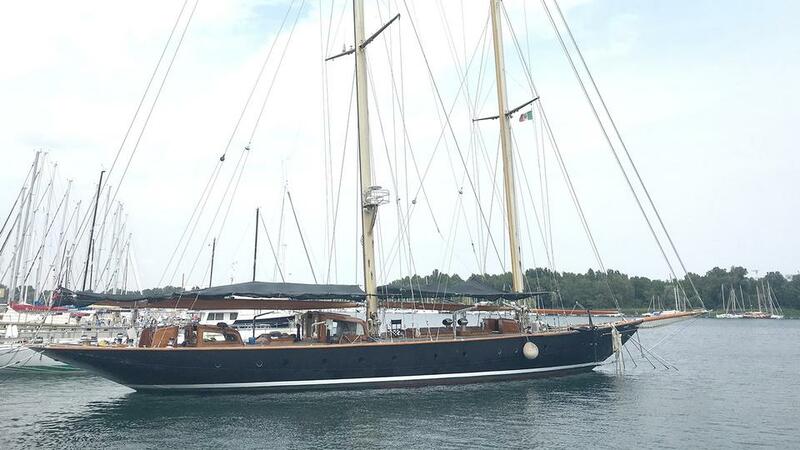 The legendary yacht eventually sank at her moorings in La Spezia harbor in 2015. The 40-meter sailing yacht Endeavour was launched in 1934 by Camper & Nicholsons for Sir Thomas Sopwith, English aviation pioneer and yachtsman. Determined to compete for the America's Cup in 1934, he was keen to ensure that the yacht featured the most advanced design possible. For instance, he insisted on applying the aviation technology to the boat's rig and winches. Over half a century, the award-winning superyacht bounced through a number of owners, her fate often hanging by a thread. She was even sold to a scrap merchant in 1947 only to be saved by another buyer hours before her demolition was due to begin. In the 70s she was about to sink in the Medina River of the Isle of Wight, when two carpenters bought her for £10 and somehow got her afloat, patching the holes in her hull with plastic bags. In 1984 American yachtswoman Elizabeth Meyer laid her eyes on the wreckage of the iconic yacht and commissioned Royal Huisman to have her completely rebuilt. 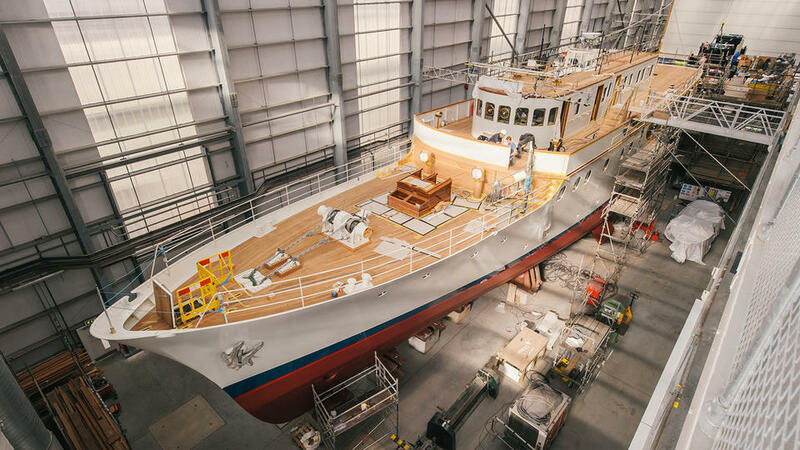 In five years' time Endeavour left the Dutch shipyard turned into a modern masterpiece, with all-new decks, mast, boom and rigging, an installed generator and mechanical systems and recreated interior. Between 1989 and 1999 the yacht cruised extensively and successfully competed in numerous races. 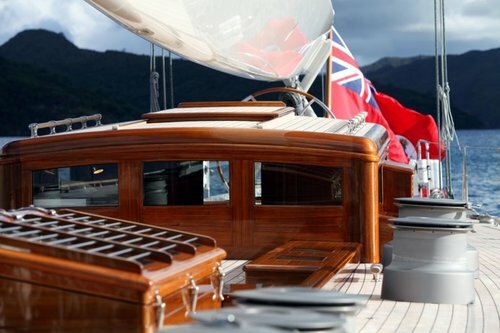 In 2011/2012 Endeavour underwent a major refit at the New Zealand-based shipyard Yachting Developments, with Dykstra Naval Architects, John Barrett Associates, and Adam Lay design studio involved in the project. The 18-months work required over 100.000 men hours and in excess of 40 tons of material removed and then replaced on the boat, including the whole weather deck being rebuilt with deck equipment reinstalled. 3D modeling was used to design the interior layout, saving but the underfloor engine room and service areas. The effort paid off, as the yacht won best-refitted sailing yacht at the 2013 World Superyachts Awards. Endeavour is now for sale, asking €17.500.000. 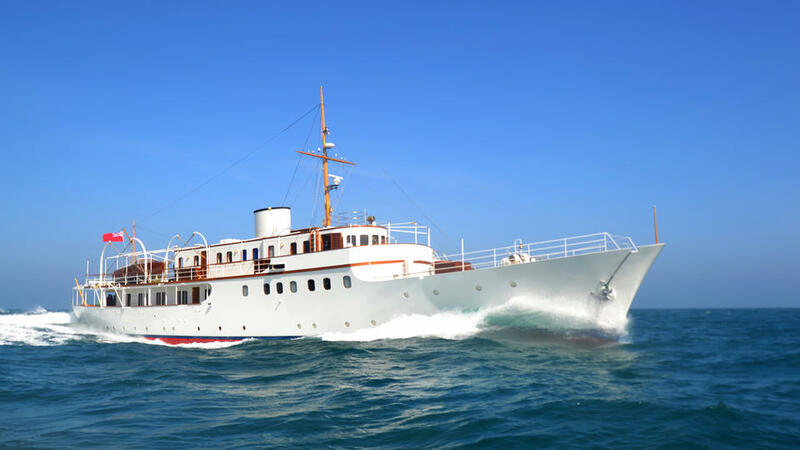 The 50-meter Malahne was the jewel in her original owner’s crown. A British businessman, founder member of F. W. Woolworth & Co., William Lawrence Stephenson commissioned from Camper & Nicholsons a motor yacht for racing and ocean cruising. However, with the outbreak of the Second World War, the boat was enrolled in the army as patrol cruiser. As such, she saw action in the evacuation at Dunkirk and later participated in torpedo target practice in Scotland. After the war, Malahne passed through many hands, being first refitted and re-classed to Lloyd's in 1960 by order of the famous Hollywood producer Sam Spiegel. Over the two further decades, the classic yacht acted as his production office and luxury hotel for movie stars. In 1983 Saudi Sheikh, Adel Al Mojil purchased the yacht and had her completely refitted with little respect for the original concept, with a different bow, stern and renewed superstructure. In 2012 Malahne was sold to a reputable client introduced by Edmiston and Burger at an asking price of €550,000. The new owner's brief was to «make Malahne look as if she had been in continuous ownership since she was built». The «artistic director» of the ambitious restoration project was the classic yachts expert, William Collier of G.L. Watson & Co., who prepared the drawings partially based on the older photos of the yacht. All operations, including the finishing touches, were carried out on site, at Pendennis Shipyard in Falmouth, making it an essentially British project. The refit was developed in several stages. After the deconstruction was completed, it took six months only to examine Malahne's construction frame by frame in order to decide what could be saved and what had to be refabricated to meet modern standards. «The new Malahne had to function with contemporary requirements for air conditioning and technology, all of which had to be contained in an original envelope», explained Guy Oliver, who was in charge of the yacht's interior design. When rebuilding the vessel, modern materials were used, such as aluminum for the superstructure and composite for the funnel, although updating the steel hull presented a no lesser challenge. 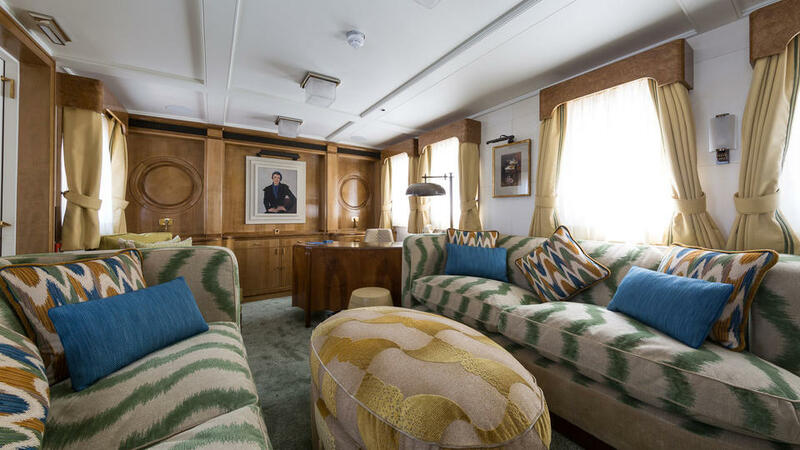 As for the yacht's interiors, those were inspired by the Art-Deco styling of Eltham Palace in Greenwich. In the new layout, the obsolete engine room on the main deck was replaced by a spacious dining, while the crew quarters were substantially altered. Among many features reminding of the yacht's original period is a pair of rotary-dial wall phones coming from the 50s. “The challenge of recreating many of the yacht’s features while achieving a faithful restoration of the hull shape has been very rewarding. 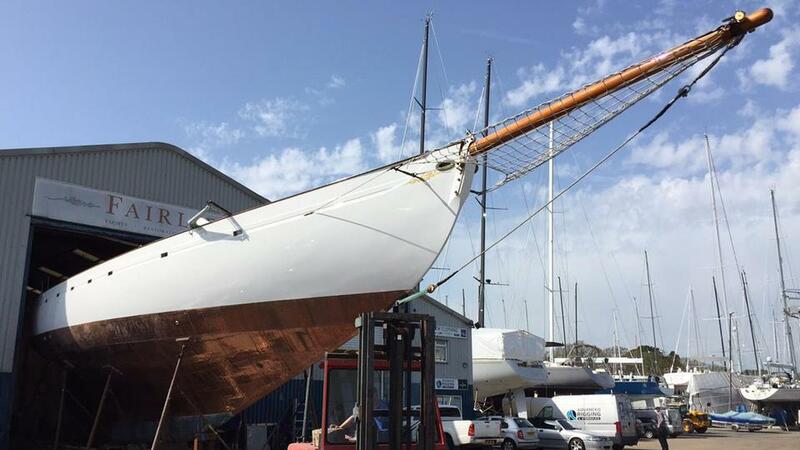 Together we have brought a historically important yacht back to life,” concluded William Coller in 2015, when the 30 months' project was finally completed. In 2016 Malahne won Refitted/Rebuilt/Converted Yachts at World Superyacht Awards. She is available for charted from €135.000 per week through Edmiston.